Our contractors offer full-service plastering contractors with experience in a wide range of plastering projects. Whether you require plastering of a small patch of wall or your entire house, we always provide quality workmanship at a fair price. We specialise in all types of plastering for your home. We do indoor plastering as well as outdoor plastering. If you are unsure of which plastering finish to use we can suggest the best method to suit your needs such as plastering with a smooth finish, rough cutting or bubbling. We work quickly and tidily with minimal disruption to you and your family. With our experience in large and small plastering projects, you can count on our contractors to do the job right! RHINOLITE is a lightweight gypsum plaster, specially manufactured as a combined basecoat and finishing plaster for internal application. RHINOLITE provides an exceptionally smooth finish for walls and ceilings and has a setting time of approximately 60 minutes. RHINOLITE should not be used in areas where walls are washed with hosepipes or in showers. RHINOLITE can be used for plastering for office walls and ceilings and for commercial properties. South Africas number 1 plastering contractor. Plastering contractors in Cape Town. 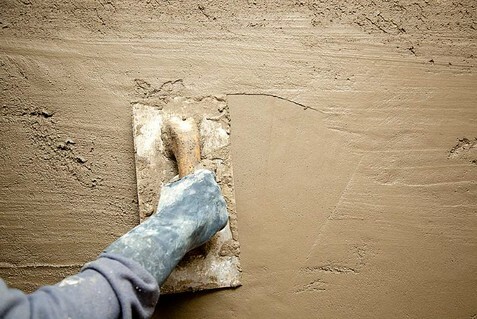 Skilled contractors have years of experience in plastering solutions. Well established company that endeavours to fulfill all the requirements of a plastering contractor. Prides itself on the successful plastering solutions in Gauteng, Durban and Cape Town. High standard of quality at the most economical plastering prices in Gauteng, Durban and Cape Town. Plastering solutions in Gauteng, Durban and Cape Town. Premier residential and small-scale commercial plastering solutions in Gauteng, Durban and Cape Town.